Just over a year on from Google’s policy changes to its Ad Grants scheme, the not-for-profit sector has begun to find its feet within the updated framework. Still, with the ripples of that conversation now beginning to dissipate, its implications are worth brushing up on. For prospective applicants in particular, it’s important to be aware that compliance with these policies remains essential to maintaining funding over the grant period. Even seemingly minor infringements have the potential to see your funding impacted, so it’s worth doing your homework before rushing in. In short: $10,000 USD per month of Google Ads spend is still up for grabs, and it helps to go in with a strong plan of attack. With that said, here’s your broad-strokes checklist of what to take into account if you’re thinking of applying for a Google Ad Grant in 2019. Charitable status. This must be current and valid within your country of operation. Registration with Google for Nonprofits. To obtain this, you’ll need to also register with TechSoup. A working website. This must be recognisable by Google as a functional site. Suitable uses for grant funding. You can only use your funding to advertise your organisation’s cause and support its charitable work. Note that government bodies, schools and educational institutions, hospitals and healthcare facilities are not eligible. Google’s current grants policy reinforces a goal-oriented approach, prioritising conversions over increased site traffic alone. For most not for profits, a conversion will typically take the form of something other than a sale – for example, a newsletter sign-up, a donation, or a request for information about volunteering. Knowing what’s valuable to your organisation in these terms will provide a framework for making genuinely beneficial use of your grant money. It will also assist with developing other aspects of your online presence that help satisfy Google’s grant recipient selection criteria. Make Google-friendly website updates. Use your clarified goals to bring your website up to scratch, making sure it can accommodate the elements you’ll need to make your conversions happen. In doing this, your site should also follow best practice in meeting Google’s standards for user experience and relevance. Tidy up your mission statement. A strong, clear mission will help with showing Google what you’ll be using your grant to achieve. It can be worked into your application, and used to enhance your website content. Anticipate your strategy. Functions such as Target CPA, Maximise Conversions and Enhanced CPC functionality reflect Google’s updated focus on conversion rates. Going ahead, you’ll be better equipped to explore and leverage these if you know your conversion goals. If you don’t have defined goals, get clear on them before applying for your grant. Otherwise, you risk wasting money and time on an approach that doesn’t deliver what you actually need. If you’re not familiar with the possibilities of the digital landscape or unsure of how to implement them, this may mean sourcing external advice from an experienced digital marketing agency. Google’s compliance rules, although somewhat technical and potentially time consuming, are not the enemy. They provide grant recipients with an incentive to take specific steps toward identifying effective strategies for meeting conversion goals. It’s true, however, that suspension of funds will occur if certain standards go consistently unmet, so it’s worth looking into them in advance. Relevance and targeting. Ads must be relevant to your cause and target a specific geographic location. Keyword performance. You must run a monthly Keyword Performance Report. This indicates the quality of your keywords and assists in optimising them in the future. Minimum CTR. You must maintain a 5 per cent click-through rate (CTR) after your first three months of receiving your grant. Falling short of this for two months in a row counts as non-compliance. Active account use. You must log in at least once a month, and make updates at least every 90 days. Conducting regular account audits that address specific policy criteria is the best way to ensure you stay connected to your funding. It’s true that this can be a challenge, especially for time-poor operations or those with limited inhouse digital marketing expertise. If that’s you, you may want to consult Smith Brothers Media who are experts at successfully navigating the application process, with up-to-date knowledge of Google’s rule book, along with skills and experience specific to administering Grants accounts on behalf of not for profits. 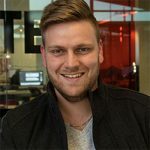 About the author: James Smith is the CEO of Smith Brothers Media, a skilled digital marketing agency specialising in Google Ad Grant Applications and Campaign Management. James Smith is the CEO of Smith Brothers Media.